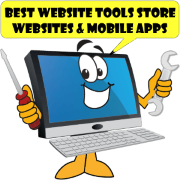 Website tools, tips, software and tutorials to design, build and publish websites and mobile apps. Category Rss Turorials for EasyBlogs building and publishing your own blog. See how to use Easy Blogs. 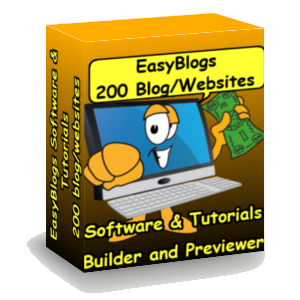 for EasyBlogs software are about building and publishing your own blog the way you want it. Having all the advantages of it being right, is exciting. The Rss Tutorials will teach you how to put a super blog launch platform on your website, update it on a regular basis and create the all important XML file that will syndicate your blog across the web. 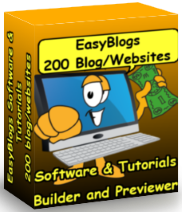 Easy Blogs software and tutorial teaches you how to start a new blog in Easy Blogs. Learn about creating a blog and how to build a website. 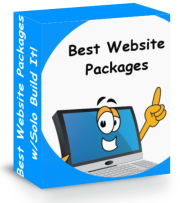 EB website builder generates all the pages, navigation, categories, archives and a .xml file. Here's how it works. 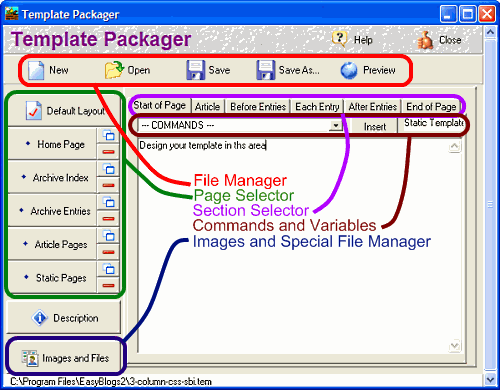 There are 4 main areas of the software, the Blog Entry Editor and The Template Package Editor, Options and Publish. This step by step tutorial guides you through setup and configuration of the EasyBlogs software. Get your blog up and running in about an hour. Includes tips and advice on when and how to build a blogging platform. SBI Rss Tutorial and EasyBlogs Software package are the perfect match for do it yourself blogging. Learn how to create a content focused keyword rich blog that includes built in rss functionality. 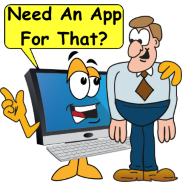 'FTP' right into your website or use any syndication service available. Includes step by step illustrated tutorials, 1, 2 and 3 column templates, PLUS the software. Put an EasyBlog on your website and watch your visitor ratings soar. Here's how to join the blogosphere. 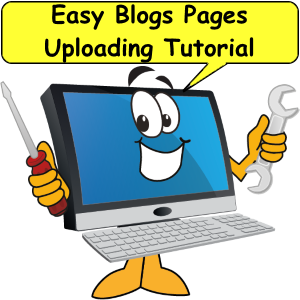 The Easy Blogs page setup and configuring process is explained in this tutorial. Learn how to generate monthly archives, categories, blog entries and how to update your website. We discuss how to set up and add blog posts articles and how they are archived. You learn about when, how and which pages to upload every time you update your blog. How important is the orange rss button? Every blog I've seen has at least one. But how do you Make the RSS/BlogIt buttons work in EasyBlogs. Read on and find out. This tutorial gives step by step instructions for adding RSS feeds to your EasyBlog. With rss feeds you can bring more traffic to your website. SBI rss articles are packed with information about EasyBlogs setup. More importantly you may find answers you are looking for that aren't fully explained in the SBI Rss Tutorial for one reason or another. This page includes articles about procedures and give more detailed step by step instructions. This is additional information that didn't make it into the tutorial or added after it was written. 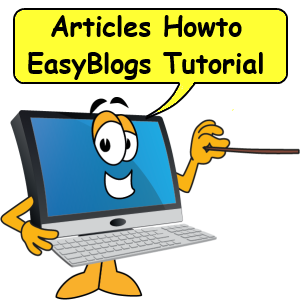 Articles howto tutorial for EasyBlogs teaches you how to setup and create articles. Learn about all the advantages of using artilces and article teasers for your EasyBlog. Two things happen when you create an article. First the short description that you create is written into an html page that lists all your article pages. Second the short description is written into an .xml file for syndication. In EB all you do is setup the template once then use the blog entry editor to add content. Category tutorial to set up and fill in categories on your EasyBlogs software. Categories make a blog what it is. Along with archives, categories contain blog posts and article teasers from your entries. Each category page contains teasers and links to article pages. 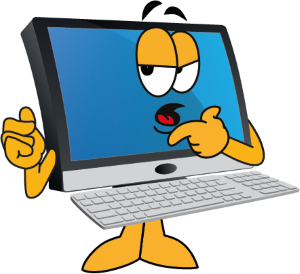 FAQ - Frequently asked questions about using the EasyBlogs software and tutorial. This article covers most aspects of design, setup and configuration of the EB software. 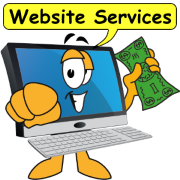 Get website tips, tricks and solutions to most known issues. Create articles howto tutorial teaches you how to use the EasyBlogs software to create full length, search engine optimized and ready for RSS syndication. Part of the SBI Rss Tutorial this article shows step by step instructions. Everything you need to know to get your articles spread around the blogoshpere. Tips, techniques and tools are discussed. SBI Boxstyles Templates For EasyBlogs - SBI boxstyles templates for EasyBlogs draw a 'box' around the content sections. A graphic background allows the templates to The main content box is set to width="100%. It will expand and collapse to fit any screen. They feature an 'Archive' menu list all the dates that entries are amde. I use monthly divisions for dating. So each month I have a new page and a reason to update every page. You can easily use your own background graphic if you don't like the supplied image. The EasyBlogs Template System tutorial breaksdown the template editor detailing each area and section. EasyBlogs is an ideal blog/website builder. It can create several pagetypes and an .xml file for feeding RSS. RSS or Real Simple Syndication is a network of blog, news and social media aggregators. By creating (1) .xml file you can potentially reach millions of people. 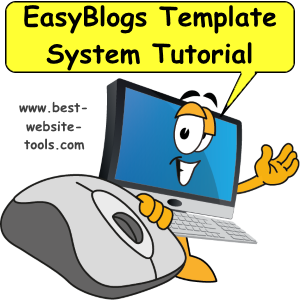 Understanding how the EasyBlogs Template System works gives you the power of creation. Convert your knowledge into a powerful news feed that can potentially reach millions of readers. Refer to this tutorial when designing and building your EasyBlog. You will understand how to create your own template. To see the detailed explanations for these option panels, please revisit your SBI-RSS-Tutorial and go to TUTORIAL II : Setting Up Your News Blog. Are you a stay at home mom? 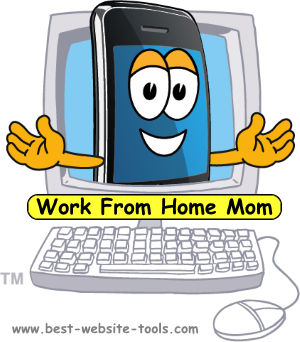 Even if you aren't this tutorial will help you understand the benefits of working from home. No technical knowledge or prior experience is necessary. You too can build a real, long-term home based business on the Net. There is no other place that you would rather be than at home with your kids. But, you would also like to contribute financially to the family. WAHM Masters Course presents case studies, organization tips and how to guides. They have taken the time to tell you everything, from reviewing all your options and organizing properly. They progress all the way to the final desired outcome. Get the nitty-gritty of how to actually build a substantial income online. WAHM-MC well explained case studies with illustrations. Yours free from Best Website Tips Blog. SBI EasyBlogs Template Packager - EasyBlogs template packager is the place to create and modify a template. Each sub-template has 6 sub-sections to control different areas of the webpage. The editor also has 95 pre-programmed commands that you can use to program with. Don't worry if this sounds complicated, it really isn't. Once you see how it all ties together you'll be creating your own fancy designs in a short time. SBI Graphic Template 1 For Easy Blogs - SBI Graphic template - select the template that matches your look and feel or go wild (like I did) and create an all new look for your blog. These templates are modified from the original EasyBlog template. Part 1: Appendix navigate - one of the most useful things you can learn is how to know what is on your computer and how to find a file or folder that you need. 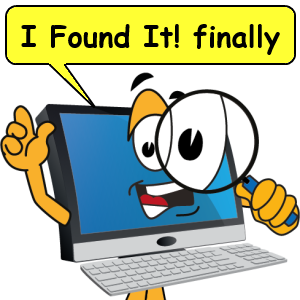 Once you learn how to navigate around your computer, you will be able to, not only locate files and folders, but you will be able to create new folders for better organization as well as move files into the new folders created to organize the files on your computer. 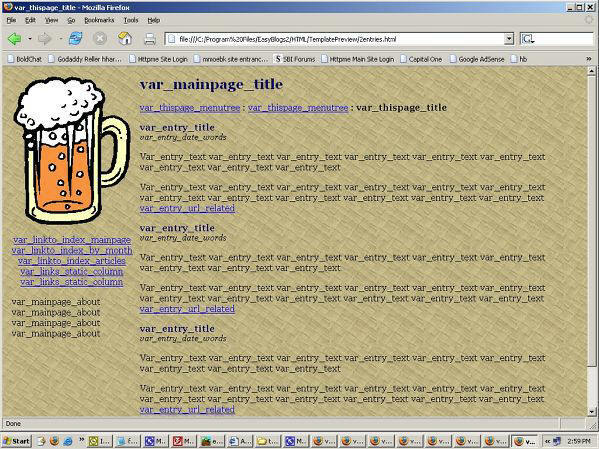 Custom variables in EasyBlogs allows the webmaster to include custom tags in a website or webpage. This cool tool is great for inserting custom content. For instance AdSense advertisements or other partner advertisements. EasyBlogs is a blog/website platform that can create up to 200 blogs and/or websites. Generate whole websites, mini-websites or blogs with this easy to use editor/compiler. This tutorial teaches you all about inserting custom tags (AKA custom variables) into the Template Packager. 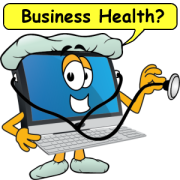 Case studies by entrepreneurs who use Site Build It to build their online business. 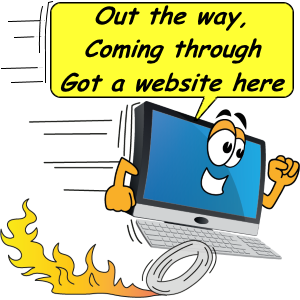 Meet several individual webmasters who have built successful websites. Case studies are a proof of success. Testimonials by real people with great experience says more about a product than all the marketing in the world. See how all these happy entrepreneurs were able to create the lifestyle of their dreams. This collection of testimonials are from all over of the world and all walks of life. Proof that Site Build It! Works. 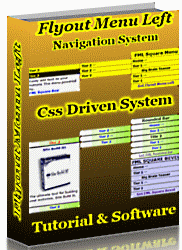 Right Column Menu - Build a Flyout Navigation Menu for Your Website Software and Tutorial - Right Column Menu uses the Flyout Menu Left technology. Create a menu structure that fits well in a right column and expands to the left. This well thought out system comes with everything you need to build your own menus. You get software and tutorials with examples and worksheets you need..
CSS driven menu system means fast action, clean operation and simple integration. Scalable and expandable design allows this system to be used many times on every page. Check it out. 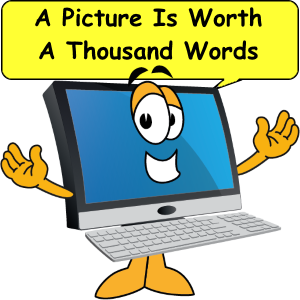 We have all heard the phrase a picture is worth a thousand words. So when it comes to getting your message across images should always reinforce what you are saying, not the other way around. When the image speaks for itself your message is much clearer. If the image speaks to loud your message may be lost. Use the 5 C's to evaluate an image or graphic to get a balanced picture. Great images have all the 'C' qualities going for them. Poor pictures can be corrected if you understand what is right and what is not right about it. When composing your art work ask your self this question "does it pass the 5 C's?" If you answer no to any of them you can correct the error before you broadcast it. When you can answer yes to all the questions you know you have a well balanced picture and worth a thousand words. Get a modern custom template that is mobile friendly with a responsive design. Learn how to make your won template for EasyBlogs. 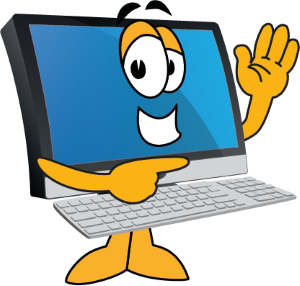 EB is a software that creates blog/websites with ease. Check out all the cool designs you can accomplish with these css templates. These templates use bullet proof layouts that do not break under mobile device usage. CSS = Cascading Style Sheets Yeah, I know. What does that mean. You can think of stylesheets as a layering of windows on a computer. But that name was already taken so they gave them a scientific name. Style sheets control the look and feel and layout of a website. Article meta tags is a tutorial that teaches you how to automatically populate Easy Blogs (EB) web page's keyword and description meta tags. When building your article pages you should also fill in these meta tags. While Google search engine does not look at the 'keyword' meta tags any more other Internet software does. Google does look at the 'description' meta tag for information about the page. This tutorial replaces those tags in your template with tags that read the information you supply. EB uses a C++ algorithm (or simply a small computer program) to generate these tags in HTML code. The information you include in the 'Blog Entry' editor is written into the web page when you hit save. Saving causes the page to be built with all the necessary HTML code. This feature can be a real time saver. 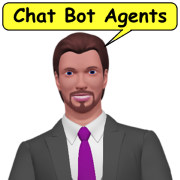 As optimizing these tags is extremely popular with webmasters, they get a lot of attention. Read the tutorial to update your EB template. Apple iPad Video Lessons, Tutorials, Instructions, Tips, Tricks and Techniques - Introducing iPad Video Lessons, Tutorial and Instructions. Did you just get a new iPad and wonder where the instructions are? Following is a comparison between Site Build It! 's SBI Rss/Blog It! feature and building a full blown blog/website with Easy Blogs software. Lets Get Social is a training course for the fastest growing job in America, Social Media Manager. As the social media market grows and grows ever more everyday, many businesses see the need to have their social media accounts managed professionally. Facebook, Twitter and LinkedIn are the three top social networks. Many businesses have started, conducted or are thinking about going to social media marketing as a free tool to market their products and services. As a result the need to manage these accounts has become a real sore spot for some. Many people and businesses just don't get it well enough to justify all the time it takes. This is why social media manager is the fastest growing job opportunity in America. Learn how to become a social media manager. Buy anything wholesale. Find a wholesale supplier for any product you want in just a few minutes... and pay up to 80% below wholesale prices! 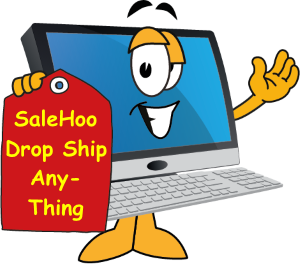 I'm about to teach you exactly where and how to find real wholesale suppliers, manufacturers, and drop-shippers for any product you want in just a few minutes and pay up to 80% below wholesale. If it is sold in stores it can be bought from a wholesale supplier. This means that what ever it is you are looking for, you can find a wholesale supplier for it. You just need to know where to look. You are a loving, caring, nurturing, stay at home Mom. Who wants to contribute finacially to the household income but need to be at home to do it. WAHM-IT Masters course shows you how to build a home based business based on what YOU know and love. Everyone has a talent or passion for something. Why not turn that knowledge into a business you run at your convenience. Learn from four case studies of successfull Wahms who built their businesses around thing they love to do. Just like they are doing, you too can create an information-rich Website that is based on something you know and love. No technical knowledge or prior experience is necessary. You too can build a real, long-term home based business on the Net. Blog Website Platform Tutorial - I used a blog website platform, Easy Blogs and Site Build It! (SBI) to build "Herbal Fat Burners." A week ago I developed the website concept "Herbal Fat Burners." The concept is a niche site for well, herbal fat burners. It is to include 5 product pages and 5 articles. Plus the required pages like Home, Contact us, Policies and a blog entry page. It also must include search engine optimization and logical navigation. BlogIt -vs- On Site Blog - BlogIt -vs- On Site Blogs: two blogging platforms that evolved along side each other. Some insight on the evolution of blogging over the past few years. Here is an article that compares two styles of blogging. Each style represents a different approach to successful blogging.